Brisbane’s Lucy Kennedy has been selected as the recipient of the twelfth Amy Gillett Cycling Scholarship. Lucy is a current member of the High5 Women’s Cycling Team, and has achieved impressive results to date, including most recently: Individual Time Trial Champion at the Oceania Road Championships; Queen of Mountain (QOM) and stage winner in the Mersey Valley Tour; and third place at the 2017 Australian Road National Championships. The scholarship is made possible through the support of the Amy Gillett Foundation, Cycling Australia and RMG Sports Management. It provides Lucy with the opportunity to live, train and compete in Europe, racing for the 2017 High5-RMG Australian Women’s Road Development Team, supported and delivered by Cycling Australia. The selection panel were unanimous in choosing Lucy as the scholarship recipient because of her sporting potential, her alignment to the values of the Amy Gillett Foundation and her commitment to a career outside sport, with bachelor degrees in Civil Engineering (Hons) and Commerce (Finance). Lucy, 29, will follow in the footsteps of previous scholarship recipients, serving as an Ambassador of the Amy Gillett Foundation. In this role she will be raising awareness about the Amy Gillett Foundation’s mission of creating a safer cycling environment in Australia and vision of zero cyclist fatalities. 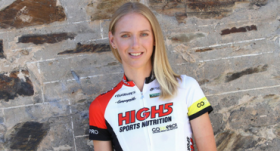 “On behalf of the Board and management team we congratulate Lucy on being selected as the 2017 Amy Gillett Cycling Scholar, we look forward to seeing her revel in her new cycling opportunities and working with her to achieve a safer cycling environment in Australia,” said Amy Gillett Foundation CEO Phoebe Dunn. “We are very excited that Lucy Kennedy has been selected to receive the Amy Gillett Scholarship, she has had some outstanding results over the last few years throughout the Subaru National Road Series and we hope that her European training experience will help take her riding to the next level.” said Cycling Australia CEO Nick Green. “It’s great for Cycling Australia and the Amy Gillett Foundation to be working together to help get more female riders achieve their dreams and reach the next level with this scholarship,” Green continued. Amy Gillett Foundation Patron and member of the scholarship selection panel Simon Gillett was delighted to unveil Kennedy as the twelfth recipient of the Amy Gillett Cycling Scholarship. “Amy had a great love for life, sport and education,” Gillett said. “Lucy has the potential to become an elite athlete, and we are keen to see the passion she will bring to her role as a Foundation Ambassador,” Gillett continued. Kennedy was overjoyed when she received the news. “I’m delighted to be the recipient of this year’s Amy Gillett Cycling Scholarship. I’m very committed to my cycling and am in awe of the opportunities this will present. It is a wonderful privilege to be selected and I’m wholeheartedly committed to honouring the opportunity,” Kennedy said. After completing a dual degree in Civil Engineering and Commerce at the University of Queensland, Lucy is keen to couple her engineering with her transport management role, ultimately to make cycling safer. “I studied Civil Engineering at university and have now worked in the traffic industry for about five years as a traffic engineer and traffic modeller. Having the perspective of both a cyclist and an engineer, it is my goal to combine these two passions to help improve road safety for cyclists,” Kennedy continued. Like the Foundation, Kennedy believes legislation, education, enforcement and infrastructure are critical to success, as are the attitudes of both drivers and cyclists in promoting safe cycling. “Driver distraction seems to be a particularly complex problem and is a challenge that must be overcome. I want cyclists’ lives to be valued by everyone as equal to anybody else’s. The Amy Gillett Foundation is doing wonderful work in all of these spaces and I am thrilled to now be associated with the Foundation and look forward to working with them,” explained Kennedy. Like many cyclists in Australia, Kennedy has kept an eye on the work of the Amy Gillett Foundation, particularly with the recent success of the Foundation’s minimum overtaking distance campaign a metre matters in QLD, SA, ACT, Tasmania, NSW and WA. 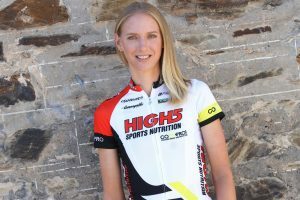 “I will do my utmost to honour Amy’s legacy and to work closely with the Amy Gillett Foundation to continue its tireless work towards making cycling safe for everyone,” Kennedy said. The Amy Gillett Cycling Scholarship is awarded annually on fulfilment of criteria that includes current cycling achievements and future potential, work and study experience, aspirations, personal and team qualities, and other sporting background.